I went through a long Mercedes phase, and Nimue came along for the ride. Twenty, even ten years ago we could afford a 1970s or 80s Mercedes diesel, address its issues, and then depend on it for a hundred thousand miles so long as we kept the filters and oil changed. But those cars are older now, most of them “B.E.R.”: beyond the cost of economic repair. The world has changed, as have we. As it recedes in the rearview mirror, I find I don’t miss it all that much. Left behind is a lot of Mercedes “stuff”: parts purchased but never installed, filters, technical literature, tools … material for future sheds. 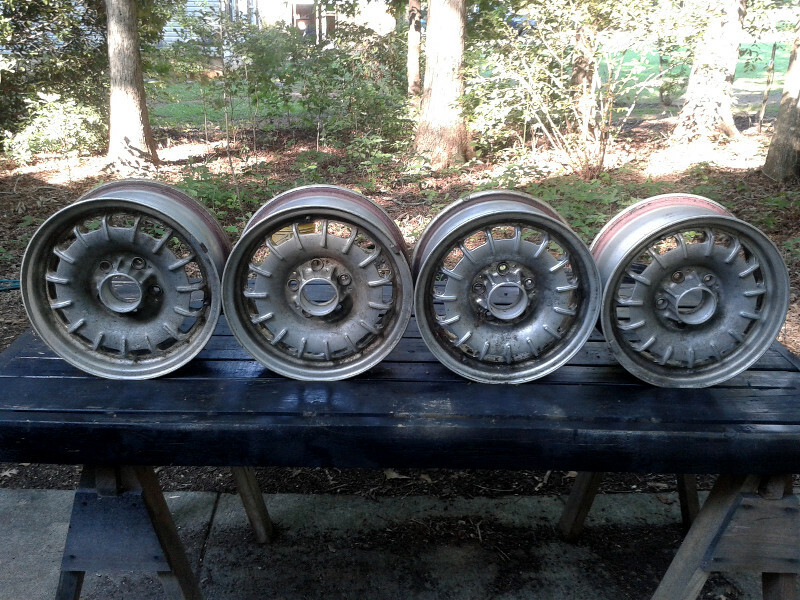 Today I’ve posted an extra set of alloy wheels to craigslist. I told myself they were worth a hundred bucks for so long that I feel I have to try to sell them for $40. But I suspect I ought to just give them away. The “bundt” style allow wheels, made for Mercedes by Fuchs, graced a lot of Benzes from 1969 to 1985. Comments welcome … have you any corners dusty with the ashes of former flames? While we’ve been silent on this blog in recent months, Casa de WIST has echoed with the chatter of a reciprocating saw, the percussion of hammers, and the soft swish of paintbrushes applying new finishes. Nimue and revdarkwater have been busy renovating, inside and out. But happiness often arises in balance and is at risk without it. So we’re feeling drawn, if not compelled, to attend again to cutting our clutter, and have embraced a goal this month to shed something every day and post to WIST about it. It’s a shower curtain, yellowed and stained past my point of dismay, but sound enough to be re-purposed as a drop cloth. But why, I wondered, didn’t I remove the curtain rings back when I put it in the box? No matter; I did today, and we’ll give them to Goodwill or the Habitat for Humanity ReStore. 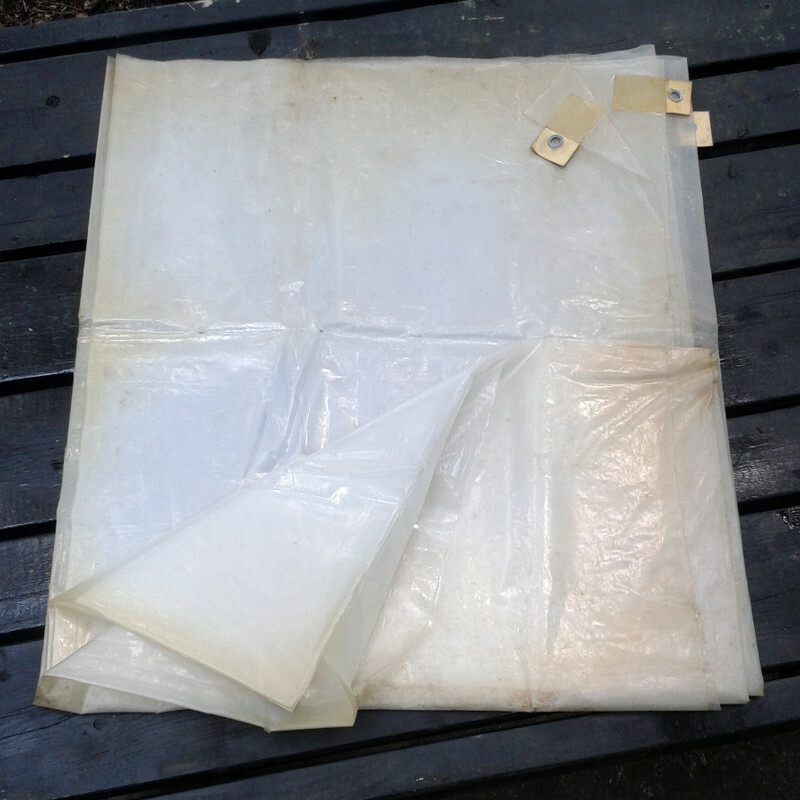 Bonus shed: also in the box was my old homemade plastic camping tarp. It was my first backpacking shelter, carried on the Appalachian Trail before I could afford my first tent—which I saved up for and purchased, let’s see, some 35 years ago. 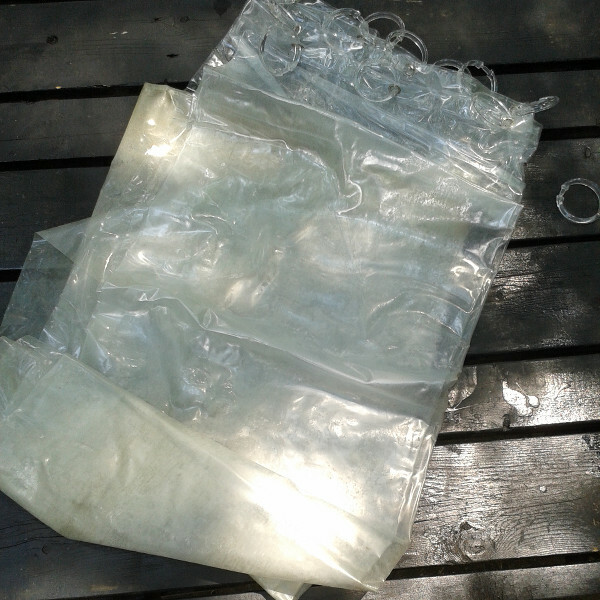 Today the tarp smelled like acetic acid (a sign that plasticizers are breaking down) and cracked when I unfolded it. It must go to the landfill, I regretfully judge.